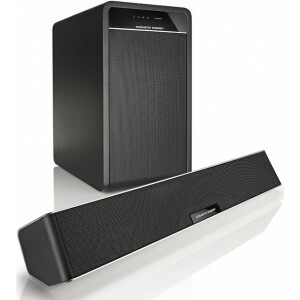 A compact yet powerful soundbar and matching subwoofer, with all the usual inputs as well as Bluetooth aptX. At only 350mm wide, its also an excellent match for smaller screens. 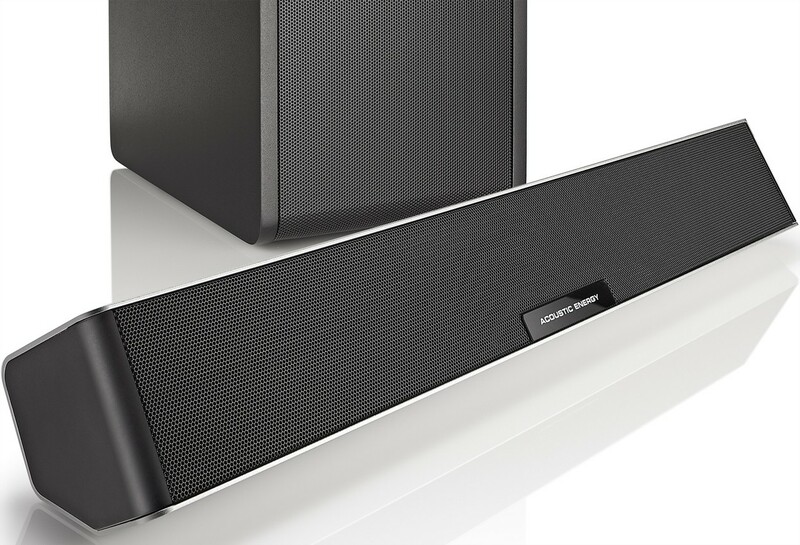 Acoustic Energy Aego 3 soundbar is a very compact design (only 350mm wide) making it a far better suited match to large screens (this plays bigger than it looks!) but also to smaller screens as it shouldn't be wider than most screens which sometimes doesn't look right with larger soundbar models. 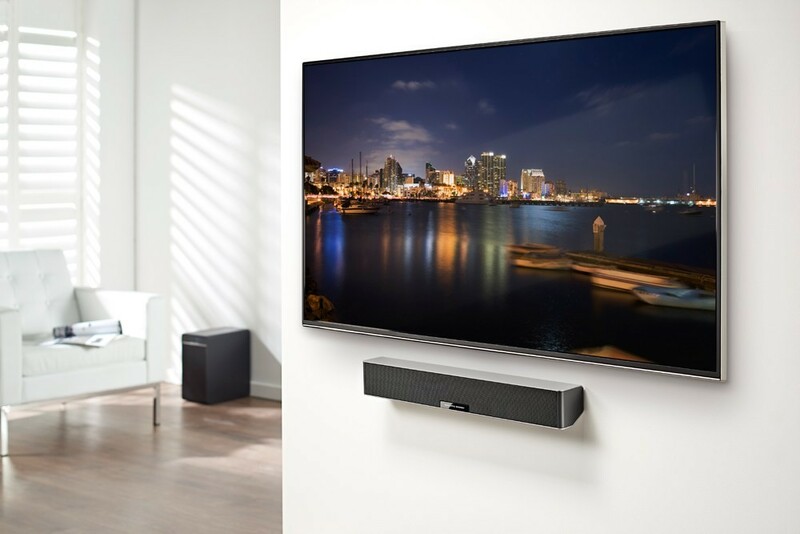 This soundbar can be placed easily under your screen (as it isn't very tall), above your screen or can be wall mounted as a neat yet acoustically powerful choice. 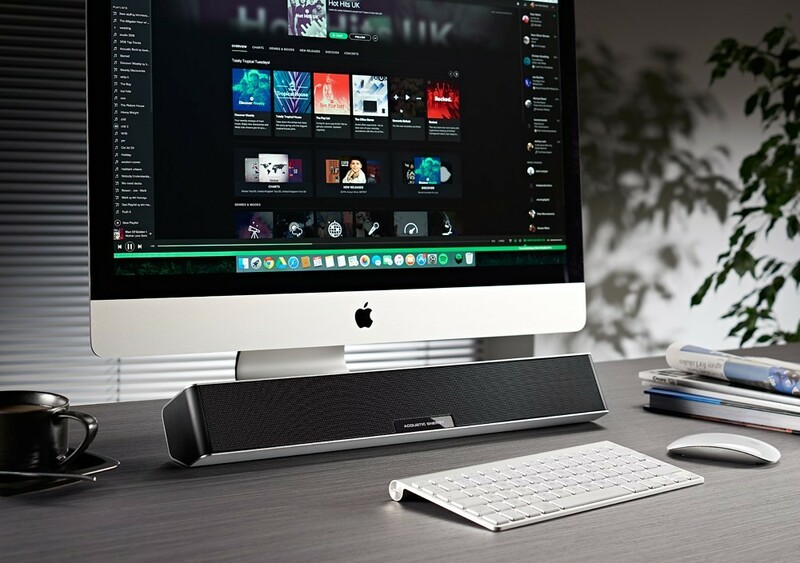 Why upgrade your screen with this soundbar? While new flatter screen TVs make more aesthetically appealing products, the space available within the chassis for speakers become more and more compressed. As a result, many modern TVs can’t produce the sound to match their picture. 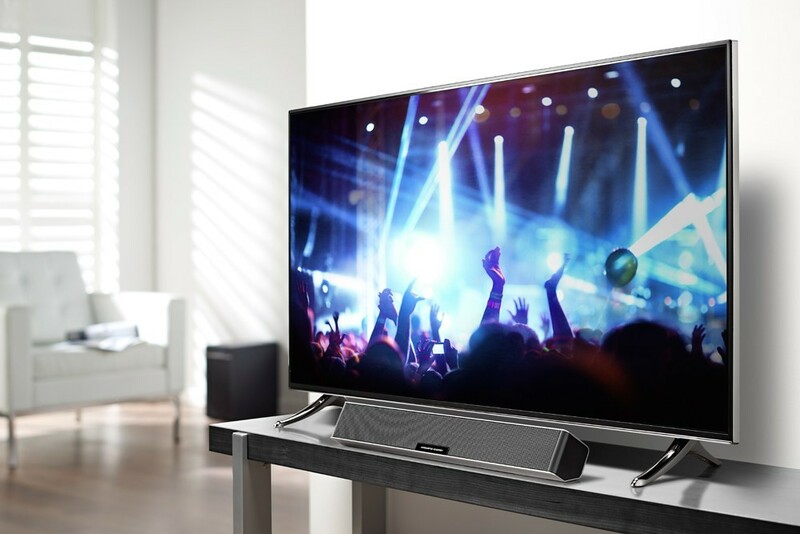 This soundbar distills Acoustic Energy's years of speaker design experience into an impressive product that does proper justice to movie soundtracks, general TV viewing, gaming and even listening to music via Bluetooth aptX streaming. 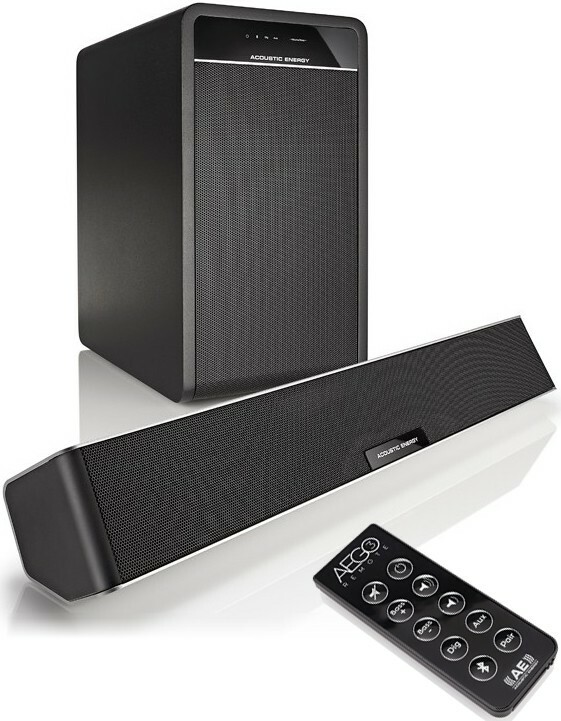 To avoid a huge soundbar design that wouldn't have looked as stylish as the Aego 3, rather than include larger drivers in the soundbar for added bass, Acoustic Energy have included a matching subwoofer to deliver excellent bass response and the overall performance that you'd expect from an Acoustic Energy product. 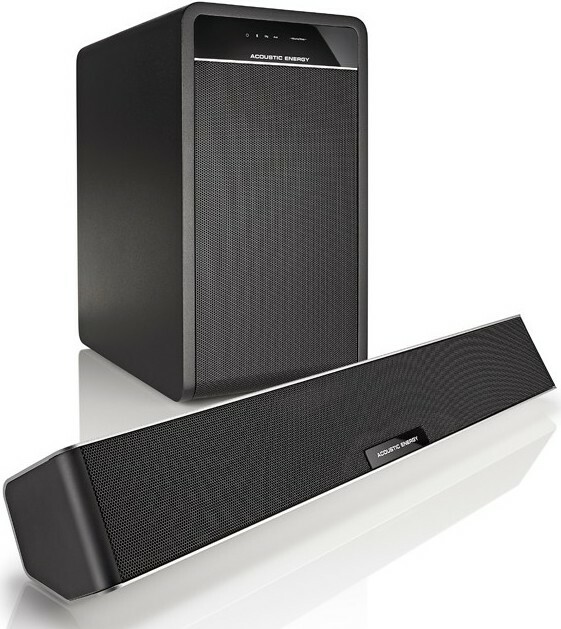 The power and amplification is found in the large subwoofer, with connections coming in the form of analogue, optical digital and wireless aptX Bluetooth streaming.